When the Future Energy Jobs Act was passed in 2016, it changed the way Illinois supported the public sector in energy efficiency. Historically, the Department of Commerce and Economic Opportunity had run programs to meet energy savings goals for the state in the public arena. However, in 2018, the ComEd Energy Efficiency Program will now be taking on the awesome task of reducing energy usage in firehouses, police stations, libraries, and all municipal buildings. Like commercial buildings in Illinois, Public Sector buildings are broken into two rate classes. The “smaller” buildings enjoy a higher incentive since they often lack dedicated employees to focus on improvements throughout the facilities. Both programs are great, but have a different approach and feel as larger and smaller customer think and act differently. New to 2018 - public sector customers can take advantage of the instant discount program. Like the commercial sectors, Small facilities are classified as 0-100 kw and this information can be found on your facilities electric bill. 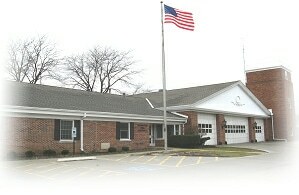 This type of building is often maintained directly by the fire chief, police chief, or department director. The incentives are higher in this program, to help offset the lack of time and attention that smaller buildings can give toward this type of capital improvements. Large public schools, municipal town halls, and water plants are just a few examples of public sector buildings that are often classified as large buildings through the lens of ComEd. This program is administered by DNV GL and was previously the responsibility of the Department of Commerce and Economic Opportunity in Illinois, but transitioned to ComEd’s responsibility in 2018 with the Future Energy Jobs Act. The Public Sector 100kW - 400kW and 400 kW and above rated buildings fall into the same program as the “Standard” or Large Business program through the ComEd Energy Efficiency Program and incentives are the same. Highlights of this program include a $.40 per watt reduced incentive for LED conversions, incentives for occupancy sensors, photocells, and daylight controls, as well as support around HVAC and building controls. One of the top highlights of this program is a $.70 per watt reduced streetlight program in 2018, as Chicago and other municipalities undergo major initiatives to modernize street lighting. In 2018, there is currently a 10% bonus on the incentive for any product made in Illinois (50% manufactured or/or assembled in Illinois). We currently purchase from Jarvis Lighting, which is made in Elk Grove Village. This only applies to the standard public sector program at this time.